When Can I Use a Kids' Hair Relaxer on My Child? You see those "kiddie perm" kits on the beauty store shelf and figure they must be made just for children, right? After all, the girls on the front of the box look happy. Their hair is long and thick. And it looks so much more manageable! Is there a right age for relaxing a child's hair? When Can I Use a Kids' Relaxer on My Child's Hair? The short answer here is you don't ever have to relax a child's hair, or an adult's hair, for that matter. Before the age of 12, relaxers are not recommended. Again, even after that age, they are not a necessity. Just because hair care companies create and market relaxer kits for children doesn't mean they're safer to use on young scalps. All relaxers contain chemicals, and developing scalps and hairlines are especially prone to damage when these chemicals are applied to them. Unfortunately, because home relaxer kits are so easy and inexpensive to use, children as young as two-years-old have been subject to them. Relaxers can sting, burn and cause irreparable damage to a young child's scalp and hair follicles. This leads to sparse (or completely empty) hairlines. How many times have you seen a child with a hairline that begins inches back from where it should be? Back in the day, relaxers were saved for girls who were about junior-high age. It was almost seen as a rite of passage for a girl to leave plaits and braids behind and move into more grownup hairstyles. Once a girl reaches the age of 12 or 13, you may consider a relaxer if you're set on permanently straightening her hair. Her hairline should be strong and free from damage. It's also best to visit a hair care professional to apply the relaxer. A competent stylist should ask you and your child questions about products you use on her hair, how active she is and how much maintenance and home care is involved for the best results. As any parent knows, it can be tough dealing with a child who has long and/or very thick hair, especially on busy school/work mornings, and if you have more than one little girl. Instead of turning to a relaxer as a solution, try gentle techniques that don't involve chemicals if you want to stretch the curl. 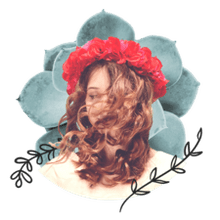 Gentle blow-drying on medium-low heat applied right after shampooing and conditioning (ideally, once per week) is just one way parents can make a child's tightly curled hair easier to manage. 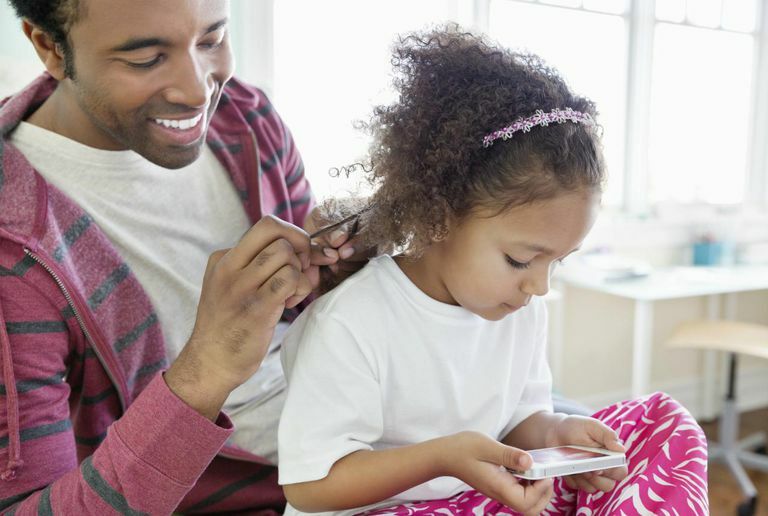 The longer you wait to relax a child's hair, the longer she has to develop a healthy hairline and scalp.